This is an archive of past reports and articles related to the NALP Perspectives on Law Student Recruiting report. For the most recent report, click here. 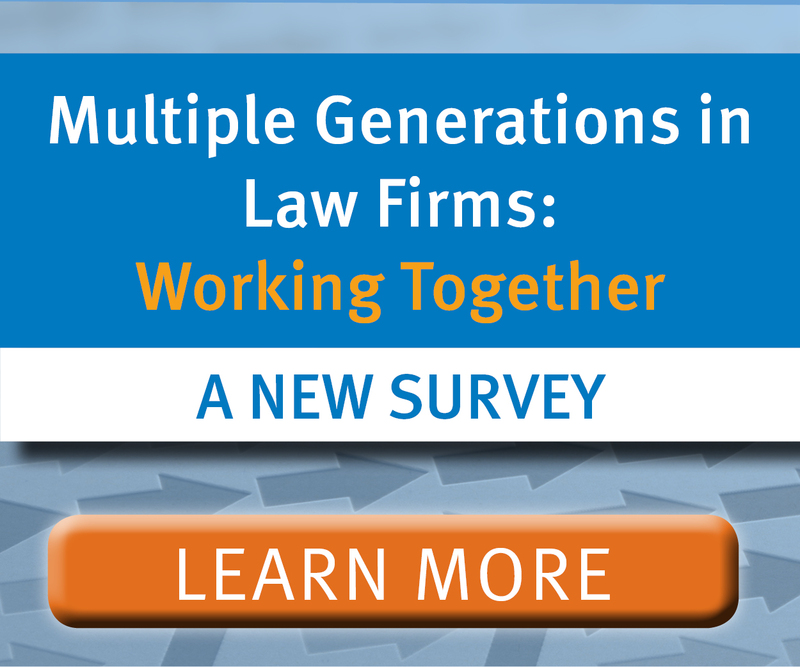 Entry-level Law Firm Recruiting Activity Remains Fairly Robust, Steady, Even as Firms in Some Markets Pull Back Slightly (February 21, 2018 press release) — NALP released its annual Perspectives on 2017 Law Student Recruiting report, showing that entry-level law firm recruiting remained robust, although mostly flat compared to last year. The lack of additional growth after consistent increases over the last several years suggests that recruiting volumes may have peaked after a marked post-recession recovery. 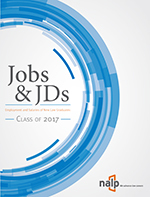 Entry–Level Law Firm Recruiting Activity Remains Brisk, but May Have Peaked for Now (February 28, 2017 press release) — NALP released its annual Perspectives on 2016 Law Student Recruiting report, showing that entry-level law firm recruiting remained robust, although flat compared to last year. The lack of additional growth after consistent increases over the last several years suggests that recruiting volumes may have peaked after a marked post-recession recovery. Summer Programs - A Retrospective (NALP Bulletin, June 2016) — This column looks at summer programs for both 2Ls and 1Ls as reported in the 2010 NALP Directory of Legal Employers (covering the 2008-2010 period) and the 2015 NALP Directory of Legal Employers (covering the 2013-2015 period). Recent Recruiting Cycle Yields Highest Offer Rate - Trend Outlook Points to More Robust Recruiting (February 16, 2016 press release) — NALP released its annual Perspectives on 2015 Law Student Recruiting report, painting an encouraging view of law firm recruiting trends this cycle and pointing to signs of recovery in recruiting following the 2008-2009 recession and its aftermath. The data reveal this recent recruiting cycle to be the most robust summer associate recruiting and new associate hiring cycle since the recession. Summer Program and Fall Recruiting Outcomes: The Big Picture (NALP Bulletin, July 2013) — As summer programs wind down and legal employers gear up for recruiting the next summer class, most employers have a good sense of what the outcomes of their summer programs and fall recruiting are likely to be. But how do these expected outcomes compare with national benchmarks or with a more narrowly constructed group of peer firms, such as those of similar size or in the same geographic area? Perspectives on Fall 2011 Law Student Recruiting (PDF - free download) — Although entry-level recruiting volumes have certainly not returned to the robust levels measured in the years leading up to the recession, 2011 marked the second year in a row in which law firms returned to law school campuses in somewhat greater numbers than the year before. Perspectives on Fall 2010 Law Student Recruiting (PDF - free download) — While entry-level recruiting volumes have not returned to anything like the levels measured before the recession, the data provided by NALP members for this report reveal that most of the markers that measure the strength of the legal employment market for new lawyers, such as law firm recruiting levels for summer programs and summer program outcomes, rose slightly in 2010, a change in course following the general downward trend in recruiting volumes that was measured in 2008 and 2009. Outcomes of Summer Programs (NALP Bulletin, August 2005) — Most employers doubtless have a good sense of what the acceptance rate from their summer program will be. However, a look at the broader picture and the trends over time provides not only a perspective against which to compare one's own results but also a better understanding of the larger market. NALP has been monitoring summer and fall recruiting activity in some manner for more than 15 years, and has collected information on summer program outcomes since the early 1990s. Tables compare summer program outcomes from 1999-2004. New Research on Summer Programs (NALP Bulletin, March 2005) — In 2004 summer programs were typically 10-12 weeks long and ended in August. Interestingly, information on summer 2002 programs revealed a very similar distribution. Fall Legal Recruiting Increases Modestly (March 25, 2005 Press Release) — The market for entry-level legal employment is continuing to expand, albeit slowly and with great regional variation, accorting to Perspectives on Fall 2004 Law Student Recruiting, an annual review of selected aspects of fall recruitment activity and the experiences of both legal employers and law schools published by NALP. Fall Legal Recruiting Picks Up Slightly (March 12, 2004 Press Release) — The pace of recruiting in fall 2003 quickened modestly over that of the prior fall, according to Perspectives on Fall 2003 Law Student Recruiting, an annual review of selected aspects of fall recruitment activity and the experiences of both legal employers and law schools published by NALP. Nonetheless it appears that the employment market for entry-level and summer associates continued to be affected by lingering weaknesses in the economy. 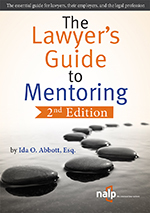 Fall Legal Recruiting Stays the Course (March 12, 2003 Press Release) — The pace of recruiting in fall 2002 changed relatively little from that of the prior fall, according to Perspectives on Fall 2002 Law Student Recruiting. It appears that the employment market for entry-level and summer associates continued to be affected by weaknesses in the economy. Fall Legal Recruiting Activities Slow as Economy Weakens (April 5, 2002 Press Release) — The pace of recruiting slowed during the fall of 2001, according to Perspectives on Fall 2001 Law Student Recruiting. It appears that the employment market for entry-level summer associates was not immune to the effects of the weakened economy and the disruptions caused by September 11. What Happened Last Fall? (NALP Bulletin, February 2002) — Almost 60% of schools responding to NALP's "Three Quick Questions" survey reported a decrease in the number of employers on campus last fall compared with fall 2000. In contrast, response to this survey a year ago, in which schools compared their employer numbers for 2000 and 1999, found 28% reporting a decrease.